On Chicago Fire season 6 episode 18, we ended up witnessing the various firefighters of house 51 take on a different sort of role than usual. Sure, they were firefighters, but they were also at the same time wrapped into an FBI operation led by a man looking for justice following the death of his partner. It shouldn’t be much of a shock to anyone out there that this episode tonight ended in a pretty tense standoff. The target resided within an apartment that was incredibly secretive, really to the point where not even a fire call could get them to open up. Casey eventually found himself being used as bait while the criminal target had a gun pointed at his head. Eventually, the team at 51 all ended up being okay in the midst of a pretty-intense standoff, but both of the suspects from the apartment died. Even though the FBI managed to resolve what happened to their leader’s partner, it did happen in a rather grisly fashion. This was one of the more violent conclusions to any main Chicago Fire story that we’ve seen in quite some time … and it was certainly worthy of a trip to Molly’s at the end. This was a really good story for Joe this week, especially since we ended up getting a chance to see him bond more with a kid who he wanted nothing more than to help with his homework. Yet, the FBI at first didn’t want to let him in and then went he tried to get in through a window, he found himself with a gun pointed at him. Eventually, the situation did calm down and Brett did seem to appreciate seeing Joe within this particular light. As for a different note, Cordova admitted to Dawson that he had more feelings for her than she apparently did from way back when. In the closing minutes the team was back at their favorite bar, and as it turned out, one of the guys from the FBI was kind enough to join them. One of the stories that could almost get lost in all of the craziness tonight was Benny being Benny. Severide’s father got into it with Kelly at the firehouse, and in the aftermath of that Benny decided to cut things off with Severide’s mom. In some way, Kelly may have caused this breakup by being so judgmental — we understand his thinking, but it may have been too rash with his judgment. Tonight’s episode of Chicago Fire did give you some good emotion from some unexpected places, whether it be Severide’s storyline or also seeing a reminder that Cruz has the biggest heart in the universe. 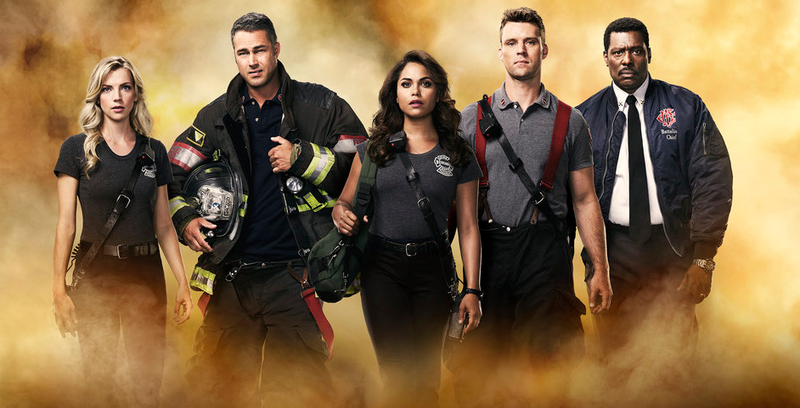 What did you think about Chicago Fire season 6 episode 18 as a whole? Be sure to share in the comments below!